You can listen to 'Wandelaar' here. Seldom was I present at such a miss match between support and lead act as with Clean Pete with The Kik in Het Paard van Troje in The Hague, 28 December 2012. Unfortunately a large and very loud part of the audience did not have the decency to listen to what was on offer, with as result that the volume went up and up (on both sides), leading to what must be uncharacteristic loudness on the side of Clean Pete. 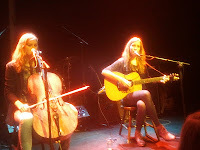 Still the Dutch duo set itself to its task and managed to get the attention of the front to middle rows of the audience. Before the show we looked at two empty chairs on stage. This reminded us straight away of "Pluizenbol and Pluizenbol", the twin brothers that form Tangerine, who supported Tim Knol some time ago. Who could predict our surprise when a set of twins walked on stage this time to? 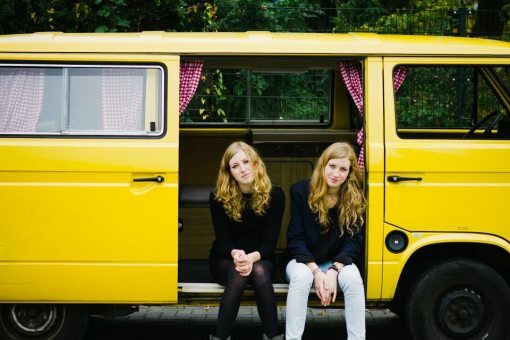 Clean Pete is the twin sisters Loes and Renée Wijnhoven. Loes writes the songs, plays guitar and sings. Renée plays cello and sings harmonies. They sat down on their chairs and did their thing. The music is in a folk idiom with very personal (sounding) lyrics in a singer/songwriter fashion. With a special kind of humour. The songs could have been part of what we call cabaret in The Netherlands and comedy in other countries. 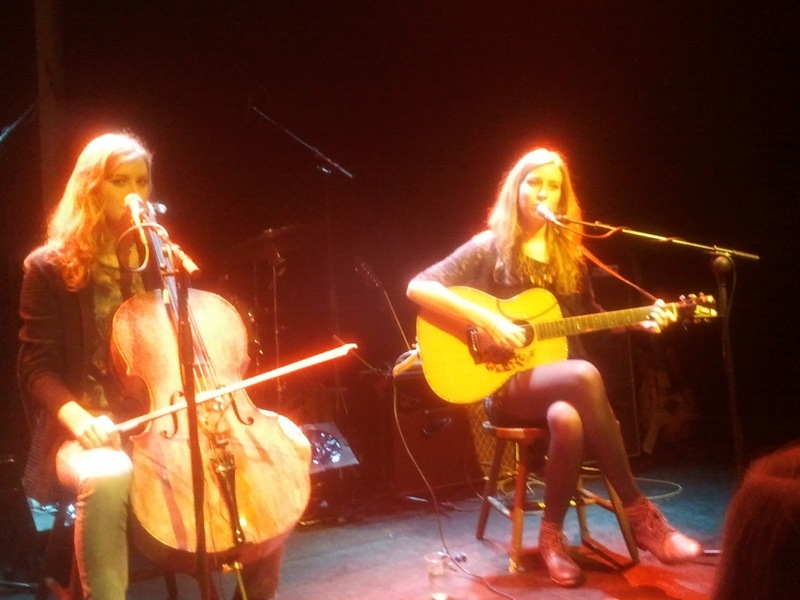 Loes Wijnhoven made some very funny observations and remarks in her songs from the perspective of a young woman/girl. Clean Pete may not have the best musicians ever, there were some small mistakes and a cello solo that held a lot of "tension" in it as it only stayed inside of the chord pattern by a hair's breadth, the duo does have a pleasant charm and amuses an audience willing to listen. Whoever thought up to join them with that beat explosion called The Kik, I don't know. On the other hand I would never had heard of Clean Pete the other way around. It was a well spent half hour. You can find more information on Clean Pete here.